A Fond Farewell after 16 years. I will be ending my third three year term as an elected member of the Board of Directors of the International Game Developers Association at the end of this month. I am also leaving my volunteer position as General Counsel to the Board of Directors. It has been a significant part of my life for a long time. But times change. So, I will be stepping back, though I will continue to support the IGDA and contribute to the extent I feel is appropriate. As I look back on over 16 years of involvement as a volunteer and nine years on the Board, I wanted to take a moment to list out my contributions to the IGDA as a volunteer. This may not be a complete list. But, I’ve done my best to recall what I can. I joined the Computer Game Developers Association at GDC in 2000. At the time it had about 350 active members. Later that year, by serendipity, I participated in the discussions at the Figueroa Hotel at E3 around the management deal between the CGDA and Miller Freeman Group that led to the 5 year management agreement that probably saved the floundering organization for an ignominious end. The following year I founded the South Florida Chapter of the new “IGDA” and was chapter coordinator from 2001 - 2008. I also moderated the old Business and Legal Forum on the IGDA web site from 2001 until the first of several attempts to upgrade the IGDA web site that resulted in the loss of our forums. I was elected to my initial three year term on the IGDA Board of Directors in 2005. This marked the first time that I really felt accepted by game developers and real part of our industry. It remains one of the high points of my career. During that first term I assisted the IGDA in extracting itself from the relationship with CMP (formerly Miller Freeman) that I had witnessed the beginning of 5 years earlier. Throughout my early years on the Board the IGDA was struggling with the transition into an independent member non profit association completely financially responsible for its own well being. As a member of that Board I contributed to some very basic fundamental items that remain at the core of what the IGDA is. This includes the drafting and adoption of the IGDA Mission, the original “three legged stool” of Community, Advocacy and Professional Development. I also served on the Taskforce that developed the Core Values of the IGDA: Community, Professionalism, Expression, Innovation, Impact, Leadership, and Fun. These Core Values still serve as a guide to everything the IGDA does and stands for. In addition to being involved with the Quality of Life White Paper, I led the QOL SIG for several years and was involved with and spoke at the IGDA Quality of Life Summit at GDC in 2005. A year later formed and led the IGDA Employment Contract Quality of Life Certification Taskforce, an effort to set standards around employment practices in our industry. In 2007, at the urging of Neil Kirby of the AI SIG, I succeed in getting the Board to approve the formation of the IGDA Foundation for which I served as the Chair of the Board of Trustees from 2007 until stepping down in 2014 to serve as Chair if the main IGDA Board of Directors. After serving at its Treasurer for a year in early 2015, I left the Foundation Board of Trustees later last year. In 2008 I was elected to my second term on the IGDA Board and served as IGDA Treasurer in the last year of that term. That term saw several monumental events for the IGDA and for our industry. For the IGDA, I conceptualized and won approval for creation of the IGDA Lifetime Membership. This allowed members to step up and invest in the future of the IGDA and, in the process, not have to renew their membership ever again. I was, along with Jim Charne, one of two industry lawyers involved on behalf of the IGDA with the IGDA/AAAS Amicus “Friend of the Court” Brief in support of the video game industry in the United States Supreme Court case, Brown vs EMA; the case that established for all time that video games are to be treated as art for all purposes. This case changed everything. Games could no longer be targeted for special treatment and would be treated the same is literature, music and film in terms of the creative freedom of expression guaranteed by the US constitution. I also took time to help our continuing efforts to maintain the IGDA’s effort to host its own event by participating on the content committees for the last two IGDA Leadership Forums in 2010 and 2011. I continued supporting IGDA event initiatives in a similar function for, and speaking at, the IGDA Summit at Casual Connect the following year. In 2010 I relaunched the IGDA Seattle Chapter, serving as Chapter Coordinator from 2010 to 2014. During that time we held regular meeting in both Seattle and Bellevue, working with Bungie and Amazon who hosted our events. In addition, in 2013 I created the Game Creators Summit, a one day developer conference in Seattle, and the following year covered for the Seattle Indies by running their Seattle Indies Expo (SIX), moving that event from being held in conjunction with Casual Connect, that had relocated out of Seattle, to the same time as PAX Prime where it still happens. In 2012, at the request of Dustin Clingman, then Board Chair and acting Executive Director, I accepted the volunteer position of General Counsel to the IGDA to help with contractual matters related to the IGDA staff transition. I continued in that capacity drafting the documentation for the international affiliate chapter agreements, reviewing and helping negotiate contracts as well as other licencing and legal matters, including securing registered Trademarks for both “IGDA” and the IGDA logo. In 2013 I ran for my third term on the IGDA Board of Directors. Dustin was still Chair at the time and my friend Kate Edwards was coming on as the new Executive Director. The organization with in disarray and I wanted to help pull the organization together and move it forward. Kate and I had worked together on the Seattle Chapter steering committee for several years and had developed what I believed was a solid friendship and good working relationship. I think that’s pretty much it, in a nut shell. It’s been a great run and I have done my best to build something solid for our industry and to help not just IGDA Members, but all game developers along the way. I have met and worked with some great folks in my IGDA Family that will remain great friends. I’ve also probably pissed a few off as well. But, all in all it’s been a great experience for me and I am proud of what I have been able to contribute to all game developers. I have witnessed a great deal of change in the IGDA and the game industry over the years. The tribal underground feel of the industry in the early years, the growth of our industry from youth to adolescence to its present position as an established part of our culture. Now it’s time for me to take my leave of the IGDA leadership. As I said, as of March 31 I will no longer be on the Board or its General Counsel. I leave the organization in good hands and wish them luck. Thank you to everyone I have had the pleasure of working with at the IGDA over the past 16 years or so. I wish you all the best. Keep on doing great work and stay true to our Core Values…especially that last one, FUN! A great deal has been written recently about Marty O’Donnell’s arbitration against his former studio, Bungie. As his personal attorney and friend, I wanted to speak out about the personal toll this ordeal put him through. References to the Revised Final Award (“RFA”), linked here, are designated with RFA, along with the numbered paragraph. Additional references to the introductory section of the RFA are made throughout and are not specifically tagged. I hope this gives those who read it a little glimpse into the story behind the story. And how sometimes, you just have to fight the good fight. I first met Marty O’Donnell in the lobby bar of the Fairmont hotel back in the day. To be honest, at the time I had never played Halo and didn’t really have any idea of who he was. But a student from South Florida, where I lived at the time, was a fan. It was the student’s first trip to GDC and he was in awe of pretty much everything. He noticed Marty in the lobby bar and mentioned it to me. Marty was standing off to the side having a casual conversation with Mark Rein from Epic, who I already knew. I said, “Marty O’Donnell huh… well, would you like to meet him?” The kid said, “Boy, would I!” So, I marched us over there and introduced the kid, and myself in the process, to the “Famous” Marty O’Donnell. As the years passed Marty and I developed a professional friendship, hanging out and various game industry conference and networking events. I asked him to serve on the Board of Trustees for the IGDA charitable Foundation that I co-founded, and he was happy to serve. I also asked him if he would do a presentation for the Seattle IGDA chapter and he was happy to oblige, even getting the OK from Bungie management to play a few pieces from the as yet unreleased “Music of the Spheres” and show a little bit of Destiny. But that’s how Marty is…all you have to do is ask. Even though we both lived in the Seattle area, almost all of our contacts were at out of town conferences. That is, until late summer 2013 when Marty called and asked me to meet him for lunch in Bellevue on a legal matter. Marty had been instrumental at spinning Bungie out from Microsoft in 2007 and was one of the 7 founders of the independent studio that resulted from the exit. He had always honored the art of games and the value of the team over the product. He often refers to the team as the “Goose” and games as their “Golden Eggs.” I believe that in many ways, he was the heart of the new Bungie. We met and, for the price of an expensive lunch, I counseled him about issues he was having at work. RFA 7 & 8. After a short sabbatical to mull things over, Marty returned to work, immersing himself in the completion of Destiny. RFA 10. In March 2014 Marty reached out to me again. Things had gone south at work and he had been presented with a “Transition and Separation Agreement.” He asked me to review it for him, which I did. After my initial review, I immediately decided that it would be in Marty’s best interest to get the opinion of a litigation attorney to explore all of his options. Although I had been a litigator for much of my earlier career, for the past 10 years or so my law practice had transitioned into transactional and legal counseling for game studios and my small firm was no longer set up to handle law suits. As Marty’s “consigliere” I knew needed a “button man” for this mess. I vetted several local Seattle firms and narrowed it down to a few candidates. Marty and I then met with the finalists, settling on a mid-sized Seattle firm, McNaul Ebel, Nawrot & Helgren. Their analysis of the Bungie offer agreed with mine and Marty”s. Since the terms of the offer were non-negotiable, Marty rejected the proposal and continued to work. RFA 11. Marty was fired without cause a few days later, on April 11, 2014. RFA 12. Marty was at a loss. He had been with Bungie since before it was acquired by Microsoft, 15 years earlier. It was a huge part of his identity and in many ways he felt lost and abandoned by the team that he had been instrumental in creating. Sure, he had disagreements with others in management, but he had always felt that he kept the best interests of Bungie above his own and done his best to make every game that Bungie made the best it could be. The Metacritic scores on the games he finish while at Bungie backed that up. But right now, he needed an action plan. Ligation is a difficult path that should never be embarked on lightly. But, Marty had little choice. Bungie tried to strip Marty of his entire ownership in Bungie by unilaterally forfeiting all of his shares in the company. RFA 12. He had to file an arbitration against Bungie challenging their actions. The Demand for Arbitration was filed in late April. In addition, contrary to Washington law, Bungie was refusing to pay Marty his unpaid wages. A separate law suit was filed against Harold Ryan, as Bungie’s CEO, in State Court to recover those wages as well. That suit was quickly resolved in Marty’s favor as there as no viable defense for Bungie’s actions. But the Arbitration itself dragged on for well over a year. The personal and financial toll this process took on Marty and his family was tremendous. Marty, one of the oldest employees at Bungie, is known as “Marty the Elder.” He and his wife, Marcie, were always the ones to be there for other members of the Bungie team in times of need. Providing emotional support and mentoring his team members. Now these same people were turning against him. Taking the Bungie “party line” against him. In deposition after deposition Marty sat and watched as these people he thought of as among his closest friend, people he had stood by when they were going through rough spots, people he had personally hired and nurtured at Bungie, testified against him. To the man, almost nothing good was said about Marty personally or professionally, other than having to admit that he was a great composer, something that no one could deny. Each time Marty’s faith in his friends was crushed. Each time I cautioned him that people in law suits color their testimony. Each time he believed they would tell his story. Each time they failed him. The emotional toll on him was tremendous. Bungie hired the mega-firm Wilson Sonsini Goodrich & Rosati to represent its interests, primarily with attorneys from its Austin Texas office. Masters at the art of delay and obfuscation, this firm used every trick in the book to burn resources and delay the proceedings. In the process, the financial toll on Marty was unbelievable. We had expected this case to settle rather quickly. But that never happened. Instead the case dragged on. With about 100,000 documents produced by Bungie, many only after numerous requests from Marty’s lawyers, each document needed to be reviewed by counsel. There were numerous motions and hundreds of pages of correspondence between counsel, many involving the arbitrator. Then, just before the hearing date in March of this year, Bungie filed last minute counter claims, delaying the case even further. Marty’s legal fees were tremendous. I suspect Bungie’s were obscene. Fees easily exceeded any possible recovery by Marty or exposure to Bungie. There was no rhyme or reason. But that’s the way it went down. The formal hearing took five days and ended June 12th of this year. The Interim Final Award was entered on July 2nd and the Final Award was issued on August 25th. In response to the Final Award, Bungie’s attorneys filed no less than 22 requested changes and even asked the arbitrator to allow Activision to review the Final Award before it was released. The last request was denied and all but a few clerical corrections were made prior to the release of the RFA. Marty was finally vindicated, but at what cost. He will never forget the way those he believed were his friends turned against him. The way that those he had mentored and supported throughout their careers had hung him out to dry. Nor would he ever recover all of the money or any of time spent on the case. But I don’t think that was really why he did this in the first place. Throughout the case Marty was primarily interested in justice; in being treated fairly; and, in being able to tell his story. And the Judge agreed with him by holding that Bungie breached its duty of “Good Faith and Fair Dealing” in the way it fired Marty. And now that finding has been made public. Too bad for everyone that the management of Bungie did not do right by him to begin with. It is certainly difficult to understand why. But I doubt that story will ever be told. Don’t Tread on Spry Fox! My law clerk, Andrew Berrier, sent me an email last week asking what one could do if a client came in with a complaint similar to Nimblebit’s outrage at the cloning of its Tiny Tower by Zynga. As General Counsel for indie developer Spry Fox, I had some very definite ideas of how to handle a situation like this. But until Spry Fox’s announcement of its law suit against 6waves/LOLapps for its blatant copyright infringement of the critically acclaimed Triple Town today, I couldn’t say anything about it. Now that the “bear is out of the cave,” I think it appropriate to go into the differences between Zynga’s clone and 6waves copy and why one is actionable and the other is not. Absent a patent, while copyright law does not protect the idea, it does protect the protect the expression of that idea in a tangible form. It appears that Zynga only parroted numerous elements of the core gameplay of Tiny Tower. But, Zynga has been hit with law suits for infringement before and, it appears, took great care not to do any direct copying of the content and limited its clone to gameplay only. As reprehensible as I find this, it was probably legal. •	The “in game: store elements including the same order of available items, the identical number of “coins” and the identical limited number of each element available in the store, unique to Triple Town. Though not mentioned in the complaint, other unique elements of the game, such as the manner in which potential combos pulse to show their combo elements and multiple scoring for 4 and 5 items combos were also copied. As described in the indiemobleapps.com review of Yeti Town, one of the many industry articles decrying Yeti Town as a copy, “The game is essentially Spry Fox’s Facebook and Google+ hit Triple Town, but with a different theme, replacing bears with yetis and castles with skyscrapers.” Or Gamezebo.com that described Yeti Town as follows, “Unfortunately for Yeti Town, the only substantial difference between it and Facebook’s Triple Town is the platform it’s on. Otherwise it’s the exact same game, only this time with snow.” Yeti Town a copy of Triple Town? You bet it is! Even more damning is the fact that Spry Fox and 6waves/LOLapps were in confidential discussions under a mutual NDA in July, months before the public release of Triple Town on Facebook and Google+. 6waves./LOLapps had pre-release access to the Triple Town closed beta of Triple Town and were well aware of Spry Fox’s intention to release the game on numerous platforms, including iOS. And, after its release, Spry Fox provided confidential information on the performance of the game on Facebook and Google+. 6waves/LOLapps continued to feign good faith negotiations with Spry Fox under the NDA at the same time it was having Yeti Town developed. Obviously, they had been developing the copy for months prior to its release, all the while concealing the fact from Spry Fox. As noted in the Complaint, 6waves/LOLapps Dan Laughlin, Executive Director of Business Development, sent a message to David Edery at Spry Fox the day Yeti Town was released in the App store terminating negotiations, informing him of the launch of Yeti Town, apologizing to David for Yeti Town and expressing his personal regrets that it had been done. In an interview on Gamasutra last week, 6waves/LOLapps had the unmitigated gall to claim that Yeti Town was independently developed by Escalation Studios, the developer it hired (and recently acquired) as a result “independent efforts.” This disingenuous defense of their illegal actions reflects an arrogant lack of respect for the people who actually contribute original content in games and their intellectual property rights. Unbelievable! The Second Annual IGDA Foundation Charity Dinner will be on the evening of Thursday, October 27th at the Sheraton Gateway Hotel, LAX, in Los Angeles, in conjunction with this year’s IGDA Leadership Forum. This year John Romero will be continuing his “legend on legend” interviewing of seminal game designers with an interview of David Jaffe. The dinner, preceded by a cocktail reception, will feature a live, on-stage discussion between John Romero and David Jaffe. David, the former Creative Director at Sony Computer Entertainment of America, is best known for his work on the Twisted Metal and God of War series and is presently the co-founder of independent game studio, Eat, Sleep Play. Romero, a prolific game developer himself, is best known for his design and coding work on such titles as DOOM, Quake and Wolfenstein 3D is now co-founder of Loot Drop, an independent social game studio. The designer-to-designer discussion is in keeping with the mission of the Romero Archives, which is dedicated to preserving the work, processes and history of game design and game designers. 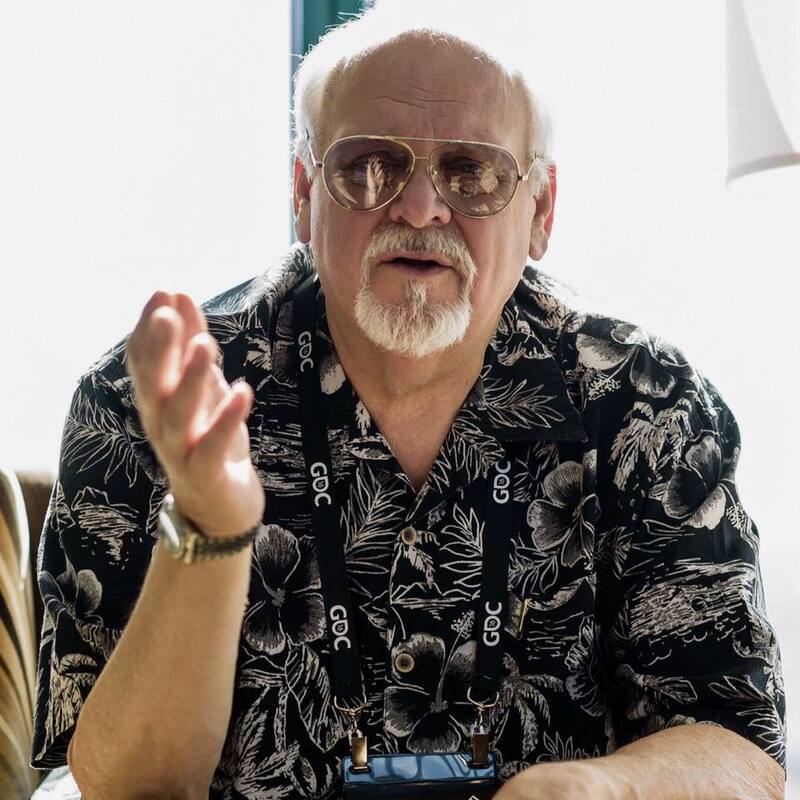 Romero, a passionate advocate for the preservation of game design history, has already had design documentary discussions with Will Wright, Sid Meier, Bob Bates, Don Daglow, Noah Falstein and others with many more in progress. The IGDA Foundation, a Charity by Developers for Developers, supports the mission of the IGDA through Scientific, Educational and Charitable works. Proceeds from the dinner will help support the Foundation’s projects including numerous game related scholarships, including the Eric Dybsand Memorial Scholarship for AI Development, the Accessibility SIG “Gamers with Disabilities” Project and the other events and programs of IGDA and its Special Interest Groups. Join industry leaders and luminaries at this great event and support the IGDA Foundation and its charitable works. Seating is limited for this event. Register now! Cost is $200 per person (group pricing available). Why Gamers Sould Care About Developer Quality iof Life. About a month ago I was contacted by a journalist asking to do an interview asking why gamers should care about the quality of life in game studios. QoL for developers is a issue I have given a great deal fo thought to over the years, but never from the gamers side of the equation. So, I had to give it some thought and then did my usual “foot in mouth” style rant. You can read the article, including my comments on this issue, HERE. If any game developers or other folks in the industry would like to meet up at GDC for some face time just email your cell number to me at thb [at] gameattorney [dot] com and I’ll call or text to set up a time. I’ll be there all week. Last November I had the distinct pleasure of attending the Keynote presentation of Danny Bilson at the IGDA Leadership Forum. Danny is the Executive Vice President of Core Games at THQ. He discussed his journey into the industry from films and the transition of the Core Games division of THQ under his leadership. The reason I say “distinct pleasure” is because normally I spend sessions splitting my time between listening, checking my email and staring longingly at the door. But I was transfixed by Danny’s talk as he discussed his efforts at THQ to turn a company known for mediocrity into a top quality AAA game company. How did Danny intend to accomplish this transition? By putting the decisions regarding game design and production exclusively into the hands of the creative teams. Huh, you mean the creative teams are not making these decisions? Well, no. For those unfamiliar with the decision making process used in many captive studios of top tier publishers, Marketing departments often have significant input into the design of games. Typically instituting changes to design or gameplay based on features in recent hit games. If a game has a feature and is a hit, then Marketing dictates the inclusion of a similar feature in a game in development at a competing publisher in the same genre. To most game developers, this is an incredibly dumb idea and frustrating model to live with. But to the suits who often make the final decisions for AAA titles - where risk aversion, not hit making, is the standard - spreadsheets with financial projections from the Marketing department are something they understand. High concepts or unique new gameplay ideas are not something the suits really can “grok.” The result for THQ was a parade of games known primarily for their mediocrity. The result for other publishing giants, like Midway, was even more severe. Apparently, Danny’s solid history in the film industry and him repeatedly calling the Marketing department’s financial projections guesses (which they are…) finally convinced THQ management to put him in a position where he was in control of both production and marketing of their core game business. So, Danny put the creative teams in charge of making the games and the marketing teams in charge of selling those games. This clear understanding that ours is a creative industry from someone in a position to actually do something about it was awesome. When I heard him explain this philosophy and his approach, I started “crushing like a school girl” on Danny. Here was someone in a position of control saying what I had been waiting to hear for over ten years. I even followed him out of the session room and told him so. His plan of releasing 10 primarily creative driven games over the next 18 months will, hopefully, result in a string of critical and commercial hits for THQ. I certainly wish him nothing but success. So, what’s with the whole “Black Sox Scandal” reference in the title to this post? Two things. First, a significant quality of life issue at one of THQ’s top core studios. On January 12 word leaked that THQ was putting the their Kaos studio, responsible for the upcoming game Homefront, on a 7 day a week 60 day “death march” until its release in mid March. I have been involved with the IGDA’s Quality of Life advocacy for years. There is a huge amount of evidence to support the proposition that this sort of crunch is detrimental to the health and well being of individual developers. It also contributes heavily to industry burn out, a scourge that continually drains our industry of experienced creative talent. In addition, there is substantial scientific evidence to support the proposition that this level of overtime is actually counterproductive because much of the extra time on the project is actually consumed correcting mistakes that occur during crunch due to fatigue and overwork. And my “hero” Danny was, apparently, the guy behind this decision or, at least, was openly defending the decision to drive this team to the finish line. The second issue was talk of relocating the Kaos team to THQ’s recently announced Montreal Studio. In situations like that, team members are often given the Hobson’s choice of either relocating or losing their jobs. Of course, the economics of this move to Montreal are indeed significant with the huge incentives offered by the Quebec provincial government such as a 35% rebate on salary expenditures. However, the detrimental impact on team members of uprooting them and their families, or treating the individuals on the Kaos team as simply fungible “game factory” workers, creates a significant potential of destroying a solid team with years of history working together. The Kaos New York studio has bee in operation since 2006 from the remains of the Trauma Studio team, which had already been in New York for several years. So, quite probably, the upheaval on the members of the Kaos team would be significant. All too often publishers fail to comprehend the difference between the “golden egg” of a valuable franchise and the real value of the “goose,” the team that created it. Examples of this mistake are legion and we have all seen great franchises die as a result of this misapprehension by publishers. My real issue here is what seems to be a tremendous disconnect between the professed “games are at their core a creative endeavor” espoused by Mr. Bilson at the Leadership Forum Keynote and this apparent lack of regard for the detrimental impact these decisions by THQ management would have on the individual developers who create THQ’s games. After all, the creative part of games is not some inchoate force or even derived from a few creative leads. It comes from the team of individual’s that create those games. One must wonder at the level of commitment at THQ to this philosophy of creativity ruling the process. Of course, the death march may simply be a need to make Homefront meet the high quality standards that Danny feel he must meet in order to succeed and the inability to postpone the launch date due to financial necessities. Perhaps it will be a lesson learned and better planning and oversight of the development of games in the THQ core games division in the future may, in fact, be the result. This would be a great result for everyone working at THQ’s numerous core studios in the future; possibly a hard lesson well learned. Also, the economics involved on managing studios does often dictate decisions on studio locations. The THQ reloaction of Kaos to Montreal is only rumor at this point since the relocation decision has not yet been announced. If Homefront is a hit, it may not happen. But if it does, the impact on the Kaos will be potentially disastrous to that team and, ultimately, to the long term value of that IP.